Management Development Specialist Barbara Nixon shows you how to get the very best out of your team and yourself by giving you practical, and easy to apply tips that you’ll want to try without leaving you feeling overwhelmed. After years of working in management development Barbara not only understands what it takes to be a great boss, but she also understands the pressures, and the problems that managers face. 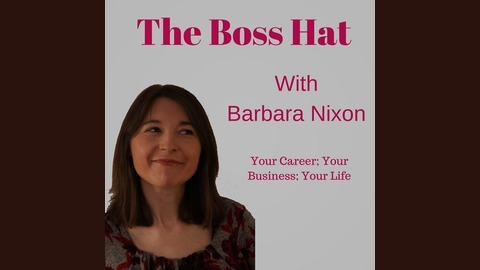 In The Boss Hat, Barbara will give you the skills you need (in bite sized chunks) to help you find your management mojo, motivate yourself and your team, understand how to work smarter, and to be the leader you were meant to be as well as so much more. If you’re an aspiring manager wanting to take that next step in your career, or a business owner who would like to learn new skills and really motivate your team to success you’ve come to the right place. 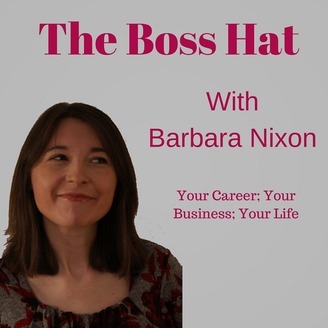 The Boss Hat is all about helping you be the best boss you can be – of your life; your team and your career. Welcome to the Boss Hat!